Greetings from Cape Cod! 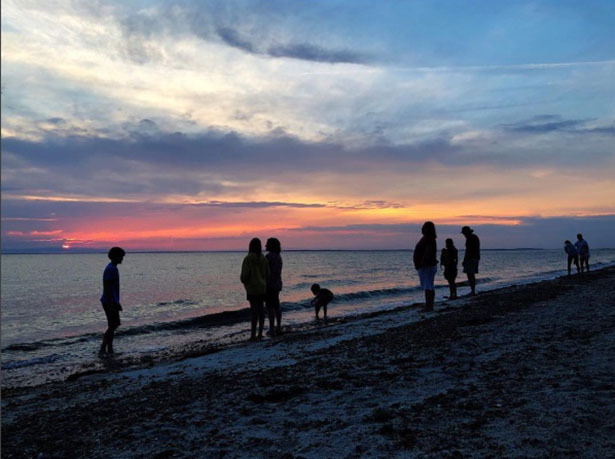 Nate’s family has been staying in Sandwich, MA every summer for the last 20 years, but this year they broke tradition and we are trying out life in Falmouth. The house is awesome and is right in town near the water. 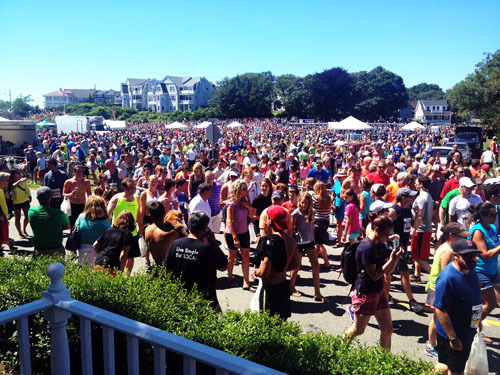 The Falmouth Road Race is also literally ending in our front yard this morning, so we have front row seats for all the fun! There are 12,800 runners in the race, plus all their friends and family! It’s astounding how many people are here and we are having a blast! 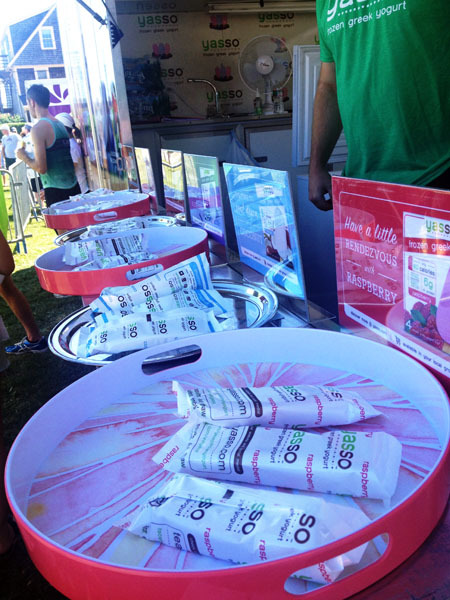 There is a company named Yasso at the race handing out samples of their frozen Greek yogurt bars. The bars are SO GOOD. Yasso is now available in grocery stores nationwide. You need to find them. Such a great healthy and delicious treat! We haven’t planned the menu for the week yet, but we do know there will do a barbecue cookout one night and Asian Spinach Salad another night. Beyond that, who cares? We’re on vacation! Even though I’m taking a break, I’m sure some of you are still on the ball! 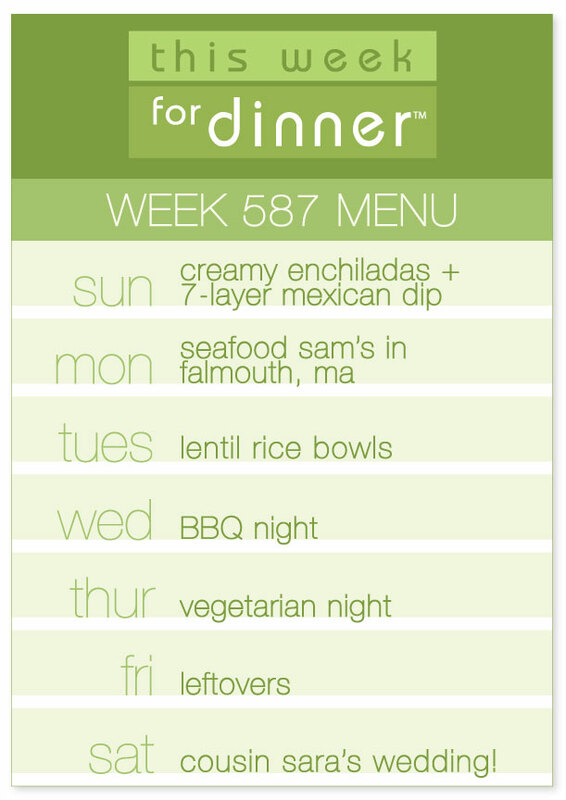 Please post your menu for the week!